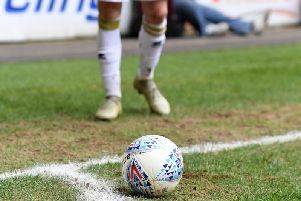 Humble pie was on the menu for many in Wales on Tuesday night after MK Dons finally ended their away day hoodoo with a 1-0 win over Newport County. Chuks Aneke’s 87th minute tap-in to send Dons back into fourth spot only scratches the surface of a strange week for the club, but ultimately is the only thing that matters. Few offered MK Dons much of a chance heading to Newport for their rearranged fixture, and they were perhaps right to be cautious: Paul Tisdale’s side had not won away since November 3, had won just twice in 10 games, had fallen from second to eighth and out of the League 2 play-off spots. Saturday’s 3-2 loss to Swindon was another hammer-blow to their ambitions, with the manager threatening wholesale changes for the trip to Wales. And he lived up to his promise. Out went keeper Lee Nicholls in favour of Stuart Moore, making his first league start for the club, while Callum Brittain and Ouss Cisse were brought in from the cold for their first appearances of 2019. Many questioned Tisdale’s methodology in his team selection against a Newport side seldom beaten at home. While the game pitched eighth against 13th, few offered Dons, in the higher position, much hope. From the off though, Dons were toe-to-toe with Michael Flynn’s men, who could not be accused for a second of having half an eye on their upcoming clash with Manchester City. The game ebbed and flowed, with both trading blow-for-blow . David Wheeler and Kieran Agard both had sights of goal, while Tyreeq Bakinson forced Moore into a great save and Fraser Franks did well not to score with a free header. The frame of the goal would come to the rescue for both sides, but while Wheeler’s effort clipped the base of the post, Newport would be left lamenting their luck on four occasions as Moore lived something of a charmed life between the sticks. Jamille Matt was guilty of missing three excellent chances for the hosts as they amped up the pressure in the second period, with Dons looking more and more likely to settle for a goal-less draw and getting the hell out of Dodge. But bringing on Jake Hesketh, Dons’ livewire against Swindon, and Chuks Aneke with 15 minutes to go showed Tisdale’s intent to continue to seek more than just a point from the game, and it paid off with three minutes to go. McGrandles, who ran the show at both ends for Dons, won the ball in the centre of the park to unleash Agard on the right. His cross was met first time by Hesketh, but Joe Day could only palm it into the path of Aneke, who was left with a routine finish to wrap up the points for Dons. “Sometimes when you make selections, you have to decide on the concept,” said Tisdale afterwards. “I wanted freshness and players who perhaps didn’t even think they were playing. I didn’t decide until 5pm. You can’t do that every week, but it livened everything up. “The players coming in: Stuart Moore, Callum Brittain, Ouss Cisse, Conor McGrandles – who was brilliant today – they all did fabulously well.